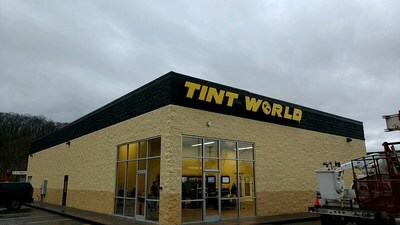 KINGSPORT, Tenn., Jan. 18, 2019 /PRNewswire/ -- Tint World® Automotive Styling Centerstm, a leading auto accessory and window tinting franchise, has opened its first Tennessee store in Kingsport. Owned and operated by Roy Morelock, the store provides full-service auto styling for the Tri-Cities region. "Roy brings a total commitment to customer service and plenty of enthusiasm to the Tint World family," said Charles J. Bonfiglio, president and CEO of Tint World®. "Combining that with Tint World®'s line of high-quality after-market auto products will ensure that this will be the one stop shop for those in Kingsport, Bristol and Johnson City to outfit their cars, trucks and off-road vehicles with the latest in safety technology and most stylish after-market products." Tint World® of Kingsport provides a full range of automotive styling and safety services including automotive tint, automotive paint protection film, mobile electronics, advanced driver-assistance systems and car stereo upgrades, and residential and commercial window film. Many of the products for automobiles are also available for boats and other marine vehicles. Tint World® Automotive Styling Centerstm offer sales and installation of auto accessories, mobile electronics, audio video equipment, security systems, custom wheels and tire packages, window tinting, vehicle wraps, paint protection films, detailing services, nano ceramic coatings, maintenance and repair services, and more. Tint World® is also the leading provider of residential, commercial and marine computerized window tinting and security film services with locations throughout the U.S. and abroad, with franchise opportunities available worldwide. Founded in 1982, Tint World® has grown to become an award-winning franchised provider of automotive styling, residential, commercial and marine window tinting and security film services. With Automotive Styling Centerstm in the U.S. and abroad, each franchise location houses approximately 20 profit centers, ranging from in-store accessory installations to off-site sales and installation of residential, commercial and marine window tinting and security films. To find out more, please visit www.tintworld.com and tintworldfranchise.com.